History : 1998 : Acquired. 10/02/1999 : Friend gave me a spare system. Current condition unknown. 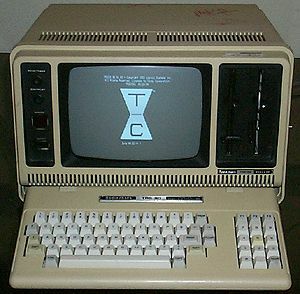 A portable version of the TRS-80 Model 4. Missing doc. Email me if you have anyone on these to pass along.